In an interview with the iconic gear manufacturer, Universal Audio, Lee says it was U2’s The Edge that recommended his services to Michael Stipe. Lee went on to co-produce both Accelerate and Collapse Into Now with the band. Lee shares insight on both legendary rock acts in the interview. For R.E.M.’s newest album, Collapse Into Now, Lee talks about the different studio locations for the sessions: initial tracking sessions at New Orlean’s The Music Shed and Berlin’s Hansa; mixing at Nashville’s Blackbird, as well as one additional vocal session with Stipe at Athens. 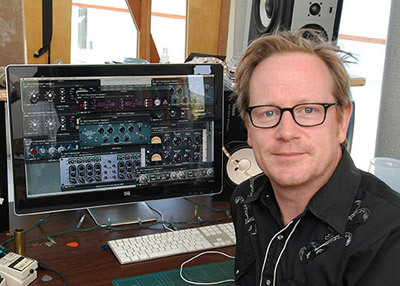 Lee also discusses his aversion to stuffy English studios, preference for rack gear over recording consoles, and how he annoyed the engineers at Blackbird for preferring plug-ins to vintage hardware while mixing Collapse Into Now.